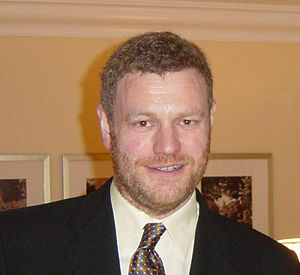 Mark Steyn (born 1959) is a conservative Canadian journalist, columnist, film and music critic. His 2006 book, America Alone, was a New York Times Bestseller and was endorsed by senator Joe Lieberman. His columns often appear in the Chicago Sun-Times, Jerusalem Post, Macleans, National Review, The New Criterion, The New York Sun, The Washington Times, The Orange County Register and Western Standard. On August 2011, Mark Steyn released his much anticipated book "After America: Get Ready for Armageddon" and within weeks reached No. 6 on the New York Times Bestseller list and No. 26 on the Amazon Bestsellers rank. Mark Steyn also regularly fills-in as a guest host on the Rush Limbaugh Show. In 2014, Steyn was sued by climate scientist Michael Mann for describing his "hockey stick" interpretation of climate history as a fraud. Steyn has also take Mann to task for falsely claiming to be a Nobel prize winner. Steyn regards the case a nuisance lawsuit and does not expect the matter to go to trial: "It is clear from the ease with which Mann lies about things that would not withstand ten minutes of scrutiny in a courtroom that he has no intention of proceeding to trial. ↑ Tracinski, Robert, "Mann vs. Steyn: The Trial of the Century", Real Clear Politics, February 12, 2014. ↑ Delingpole, James, "Mann v. Steyn: If this trial even goes ahead global warming is toast", Breitbart, 15 Aug 2014. This page was last modified on 9 April 2019, at 12:12.